I am an artist, illustrator and designer. I have been exploring the many facets of art and illustrations through sketching and observing my surroundings and making sure I take a sketchbook on all my journeys. I fell in love with watercolours a long time ago and the spark hasn’t faded yet. The love for illustrations came with richly illustrated Russian Children’s Books I read as a child. I have been exploring new ways of sketching along with urban sketching and travel sketching. I am nature lover and obsessed with natural history illustrations and live sketching in nature. I love travel and to explore and understand the world around me, I have an unquenchable thirst for finding new cultures, colours, themes to bring about in my conceptual drawings and watercolour illustrations. 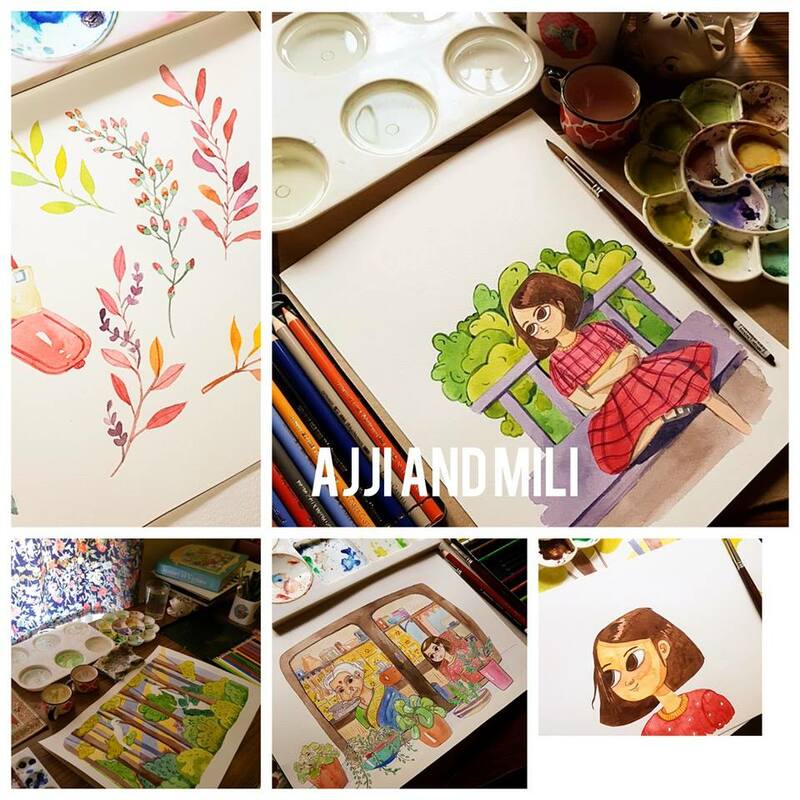 I have started writing my own Children’s Book series – Ajji and Mili – The first one “Ajji and Mili – Into the Forest ” of which I am crowdfunding. For More follow on www.ajjiandmili.com . It is the Story of Ajji and Mili who find themselves in a forest, where Ajji loves nature and is brave, Mili is a city bred girl who learns a lot about nature and animals along the way. This book is fully illustrated in watercolours and done by me. I grew up on amazing illustrated Children’s Books and wanted to create one of my own which will help children connect to nature, which will help parents and teachers to introduce nature to children through stories and fantastic and rich imagery. It is very relatable and has a cultural Indian context. 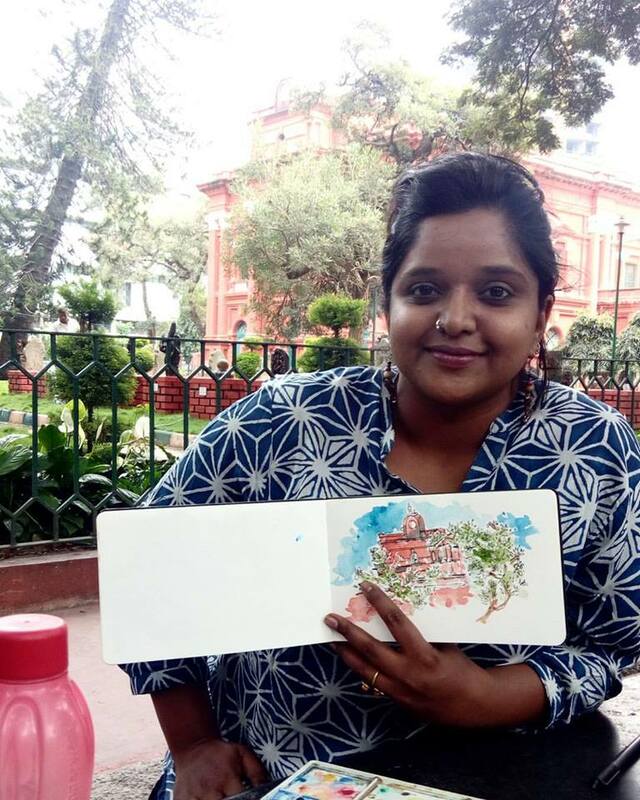 I have a degree in fine arts from Karnataka Chitrakala Parishath and worked as a photographer, Writer and Sub editor in magazines and Art Galleries before becoming a full time illustrator,designer and author. I strongly believe that the nature is the most important especially now , in this fast paced world, we tend to not observe our surroundings. Sketching and reading are the best ways to observe and understand. Through sketching you can slow down, learn, create and document your daily life while having time to feel the different textures that life brings us. Reading can be the best way to approach new subjects and imbibe new thoughts.